Posted By Nathan On April 3rd 2015. Under Blog Tags: resume update, resume updated, updated resume . Most people don’t update their resumes. That’s a real problem, because as resumes age, they don’t “age gracefully”. They become very uncompetitive. If you’re not updating your resume, we have a few pointers for you. One of the major problems with not updating your resume is that as time passes it becomes outdated, in more ways than one. Imagine applying for a job with a ten year old resume – Do you think it’d succeed? Well, you really don’t have to wait for ten years. If your resume is more than two years old, it’s heading for the scrap heap. The new format resumes are much more compe titive, and old resumes really don’t do well by comparison. An old written resume is also not very useful for targeting current jobs. Targeting is now must-do, must-have best practice for job applications. Unless your resume’s updated regularly, it’s likely that you’re even using the wrong terminology. The classic mistake of mistakes with resumes, however, is a case of not updating your resume. This is the “One Size Fits All” resume, where applicants fire out copies of the same resume for different jobs. These resumes aren’t updated. They’re not even written specifically for the jobs. Result? These applications invariably fail. They cannot possibly compete with up to date, targeted resumes. Another reason is pretty basic, but needs to be mentioned – By not updating your resume you’re literally shooting yourself in the foot. 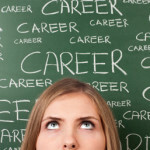 Your resume doesn’t contain your new skills, achievements, experience, and qualifications. If you leave it too long, it’ll belong in a museum, but not in a stack of successful applications for an interview. Take a fresh look at your old resume. Now compare it with current resumes online. This can be a pretty gruesome comparison, but it’s worth it if you see why you need to update your resume by writing resume in the new format. You won’t get your dream job, or any job, with an obsolete, uncompetitive resume. Upgrade now to a new format resume, and you’ll be stunned by the difference. Consider a functional resume, for example. These very effective resumes are easy to write and extremely efficient in terms of managing space and information. You can update a functional resume in a few minutes, and do the targeting for your dream job in a few more minutes. You can do all of this in one page! An updated resume will be a major upgrade, and a competitive advantage, all at the same time. Your resume will be able to compete and outcompete whenever you make a job application. You’ll also have a lot more confidence whenever you apply for a job, knowing you’re in with a real chance. 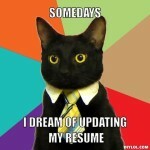 If you’d like to know more about resume updates and upgrades, see this link. Images are taken from: geeksmirage.com.